Assistant Clinical Professor in Psychiatry, New York Medical College. Patricia L. Gerbarg, M.D., Assistant Clinical Professor in Psychiatry, New York Medical College, graduated from Brown University (1971), Harvard Medical School (1975), Beth Israel Psychiatry Residency program in Boston (1979), and the Boston Psychoanalytic Society and Institute (1992). 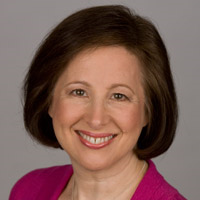 Dr. Gerbarg has lectured and taught about a wide range of topics in psychiatry, psychoanalysis, women’s issues, trauma, neurobiology, natural treatments (herbs, nutrients ), and the integration of mind-body practices in psychotherapy for the American Psychiatric Association (APA) Meetings and many other conferences, academic centers, and community organizations. She serves on the APA Caucus on Complementary and Integrative Psychiatry and is a board member of the American Botanical Council. Richard Brown and Patricia Gerbarg are medical doctors, clinical psychiatrists and university professors. They also happen to be two of the world’s leading breath experts—integrating Western science and ancient breath techniques derived from yoga, qigong, Coherent Breathing, and Open-Focus meditation. Big Ideas we explore: Pill or 20 minutes?, Breath = portal to mind-body systems, Coherent Breathing, Resistance Breathing and turning off your worry centers via vagus nerves.